Put your cape on and get ready for Winterfest! Get ready for the “Greatest Show on H2O” – the Seminole Hard Rock Winterfest Boat Parade. 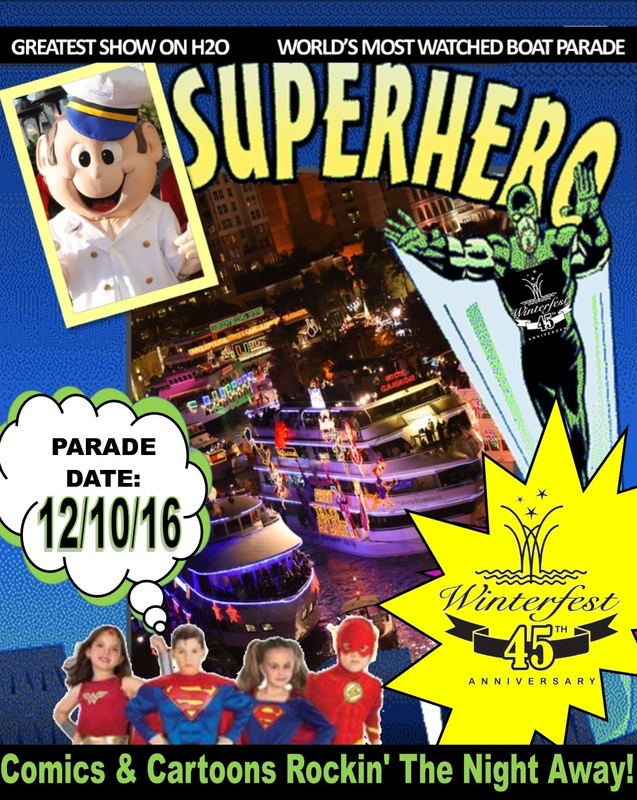 Winterfest is celebrating 45 years with the theme “Comics & Cartoons Rockin’ The Night Away.” What kind of float would YOU like to see in the Parade on December 10, 2016?